What’s on the pizza? A new toolbar button lets you quickly toggle the display of folder sizes. 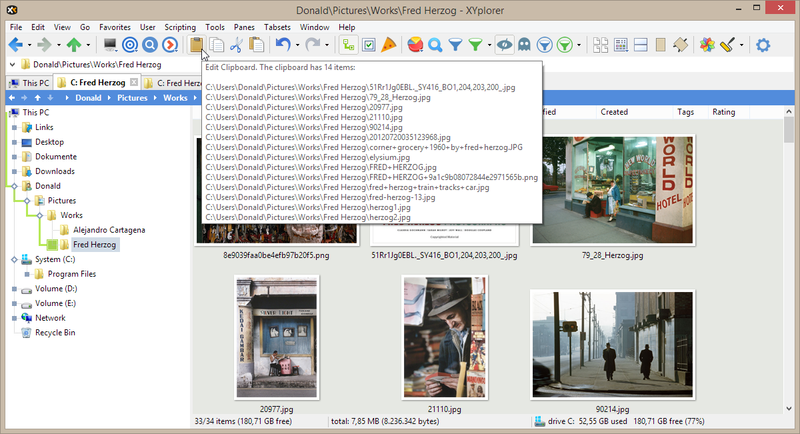 Press the Show Folder Sizes button to show the recursive folder sizes. Press it again to hide the folder sizes. Note that the calculation of folder sizes can take a while if the folders are large and deeply nested. 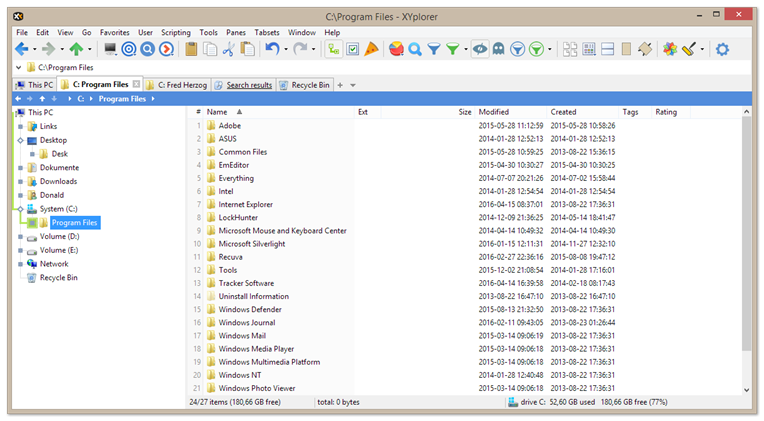 The Show Folder Sizes button is not in the toolbar by factory default. To add it select Tools | Customize Toolbar... (Ctrl+Shift+F9) and add it to any position in your Toolbar. Show Folder Sizes is OFF. Show Folder Sizes is ON. The setting applies to all tabs if Configuration | Styles | Apply list styles globally is ticked, or if you hold SHIFT while clicking the button. Otherwise it applies only to the current tab. Tick Configuration | Tree and List | List | Show item count with folder sizes to also show the item count. 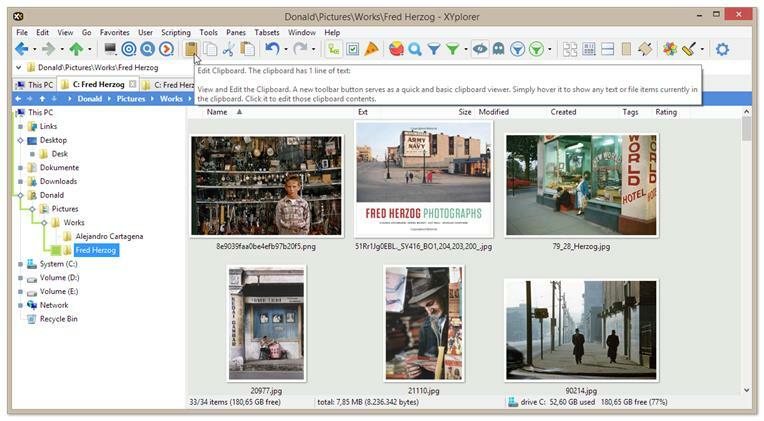 View and Edit the Clipboard. 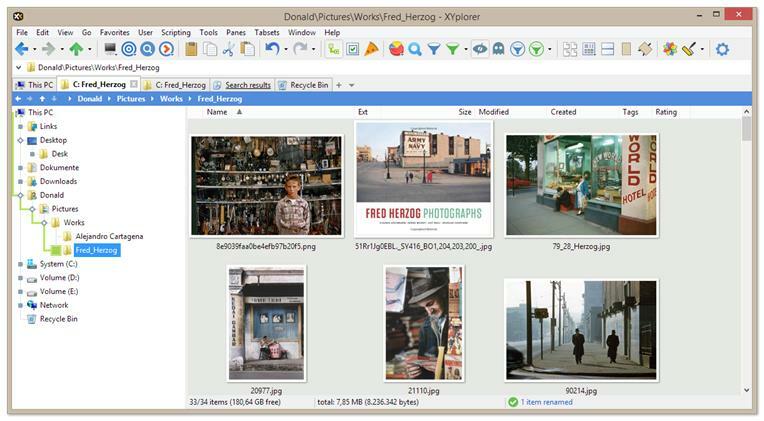 A new toolbar button serves as a quick and basic clipboard viewer. Simply hover it to show any text or file items currently in the clipboard. Click it to edit those clipboard contents. The Edit Clipboard button is not in the toolbar by factory default. To add it select Tools | Customize Toolbar... (Ctrl+Shift+F9) and add it to any position in your Toolbar. Hovering the Edit Clipboard button, showing text currently in the clipboard. Hovering the Edit Clipboard button, showing items currently in the clipboard. Click the button (or select Edit | Paste Special | Edit Clipboard...) to edit those clipboard contents, be it text or items. Paste and Go. 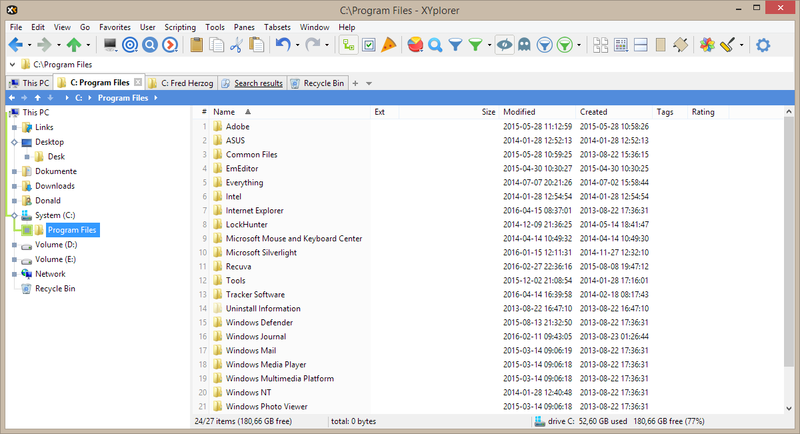 Now you can paste a file or folder path directly into the tree or the list and XYplorer will go to it right away. 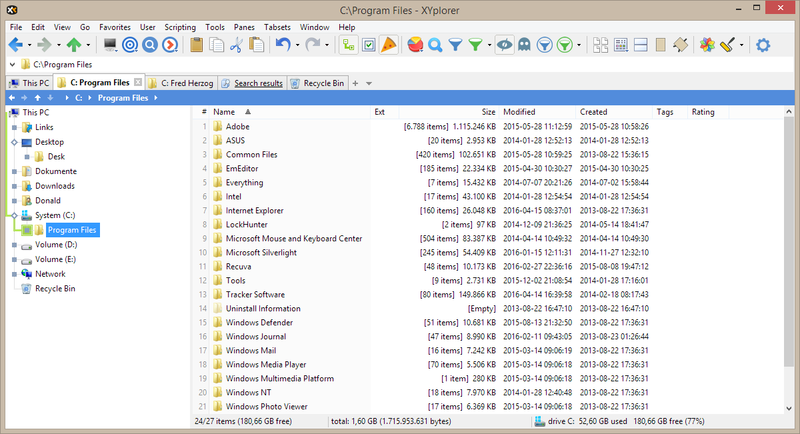 If the pasted string is a folder path then XYplorer will go to it. 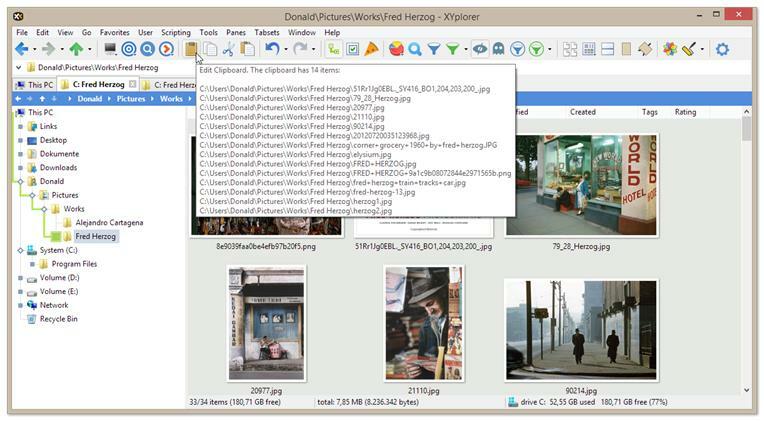 If it is a file path then XYplorer will go to the path and select and focus the file. To enable this functionality both Configuration | Menus, Mouse, Safety | Type Ahead Find | Enable type ahead find and Configuration | Menus, Mouse, Safety | Type Ahead Find | Paste and find have to be ticked. 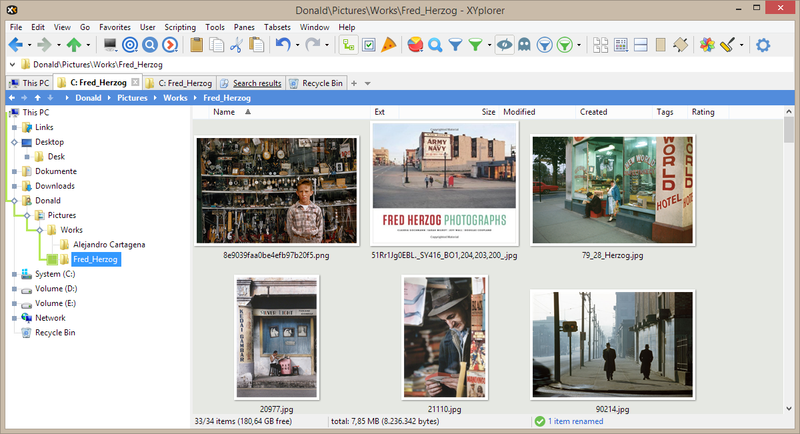 Now open XYplorer and focus the folder tree or the file list (e.g. by clicking into it). Now press Ctrl+V (or click the Paste toolbar button) to paste the path. 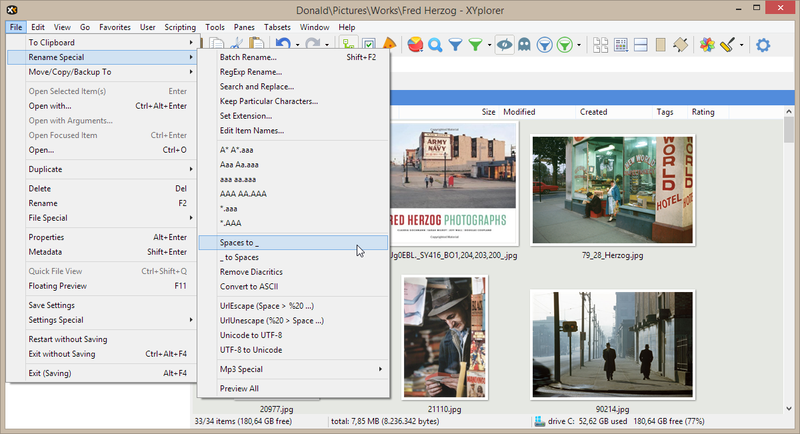 XYplorer will go it. Just in case you didn’t notice: This is a killer feature. Just do it once, and feel the blissful ease of it. You will never go back to the old ways. Color Filters. Now you can define whether a filter is applied to the Tree, or to the List, or to both, for each filter individually. For details see Help (F1) under "Color Filters". Rename Special. Now it’s also supported in the folder tree. For example, let’s replace space characters in the current tree folder. Just select File | Rename Special | Spaces to _ and you are done.